Windows cannot end this program. It may need more time to complete operation. To return to Windows and check status of program, chick Cancel. If you choose to end program immediately. you will loose any unsaved data. To end program, click End now. This dialog box appears every time you shut down windows xp. 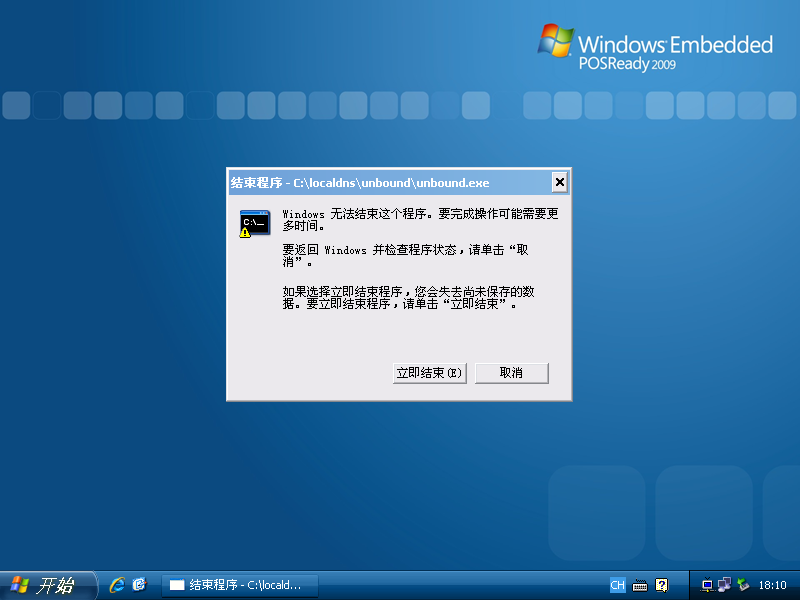 this issue don't appear on windows 8.1. If you start unbound with the additional parameters:  -w service   then it will hook up into the windows services framework, that gets a different signal when it is time to quit, and that may quit much more quickly. Apart from that, windows XP is a little to old to really provide software support for. But perhaps the above option can solve your troubles.